As a first-time mom I have made some mistakes, but this one takes the cake. 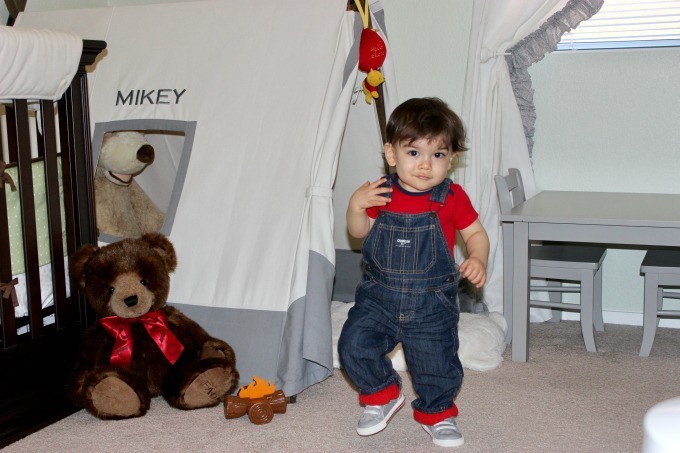 My son Mikey started to walk at 11 months old, and from the moment he took off, I quickly realized it was time to stop using crib shoes, because they are mainly for looks. I knew I needed to buy good shoes that would help with gripping the ground. Until now I have been able to shop and pick out clothing without having him try it on in the store. It truly did not occur to me to have his shoe size properly and professionally measured. The receptionist at my work has a second job at a shoe store, and when she offered me her 30% discount, I made a trip to the mall. I quickly looked around and told her that I will take the size 4, she then asked to measure him. How is it that a 20-year-old girl with no children had enough common sense to make sure that my son would be leaving the store in the correct shoe size? Much to my surprise, he is not a size 4, he’s actually a size 5 1/2. I won’t be making this mistake again. The younger the foot, the faster it grows. On average, a child will grow up to 12 sizes in their first three years. Doctors recommend getting your toddler’s foot measured at least once every three months. Feet are the foundation of the entire body, with 26 bones that are designed to support the entire body, adapt to uneven surfaces, and absorb shock. The structure of the foot develops by two years old, but the bones themselves do not fully develop until age 18. Learning all of this, I now know it is crucial to start my son off in good shoes that are the correct size, so his bones are allowed to develop naturally. Having the correct size shoes also eliminates the risk of tripping on the front toe which could cause serious injury. As a mother, I only want what’s best for my son. The inevitable screw-ups are hard to swallow, but at the end of the day, it is all about living, learning, loving, and tackling this journey of motherhood to the best of my abilities. Even when my abilities are accidentally putting my son in the wrong size shoe.